Since starting this blog I have been asked why I wear odd socks and a lot of people have said that they have lots of odd socks but they couldn’t wear them. I can answer the former: because I’m too lazy to pair them and I don’t care that much, but I didn’t really have a comeback for the later so I started to look up uses for odd socks and have come up with a long list! In my searching I found lots of people who also could never think about wearing odd socks, but also a number of people advocating for odd sock wearing. It made me laugh to hear them discuss pairing socks as similar to arranged marriages and how since they let their socks mingle freely in their drawers they haven’t had so many missing socks! 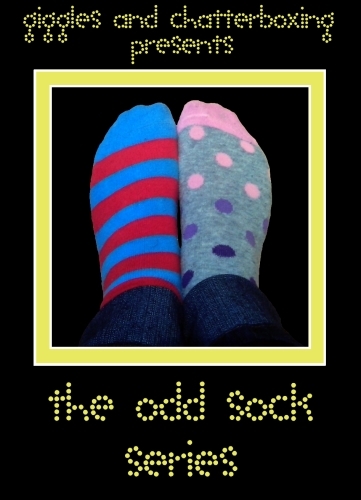 For those who think that odd socks are inferior and can’t be worn I have decided to start a series to deal with the odd socks of the world – the aptly named Odd Sock Series! As part of the Odd Sock Series I’m going to try out each of the uses on my list, take photos and let you know how it turns out. In cases where it is appropriate I will give a price comparison between using odd socks for a purpose rather than buying something new. I’m still searching but at the moment I’m up to 46 different uses!! I have had to put out a call for odd socks in my area to gather enough for my ideas. Freecycle has resulted in a few bags of odd socks (and I think probably a few conversations about me being the crazy sock lady). I had to ring a lady today from freecycle and she has either 3 or 5 bags of odd socks to give me!! She did make a good point about the wearing of odd socks though: “When you are my age and you are wearing odd socks people think you are losing it”. This leads me to my odd sock use for tonight – WEAR THEM – who really looks at your socks anyway? If they are the same thickness and length you won’t feel the difference. Try it. You might be surprised by how easy it is AND you will save money as you won’t have to buy new socks to replace the pairs! This entry was posted in Odd sock series and tagged craft, odd sock series, odd socks. Bookmark the permalink. As a birth doula I use long socks filled with rice and dried lavender as microwavable heat packs for women in labour. It doesnt matter if they get messy during the birth since they are cheap and can be tossed, but if they stay nice the women can use them for aches and pains in the coming days/weeks.